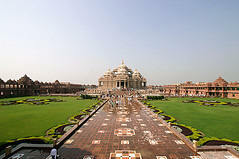 Delhi, the capital and the third largest city of India is a fusion of the ancient and the modern. Standing along the West End of Gangetic Plain, the capital city, Delhi, unwinds a picture rich with culture, architecture and human diversity, deep in history, monuments, museums, galleries, gardens and exotic shows. 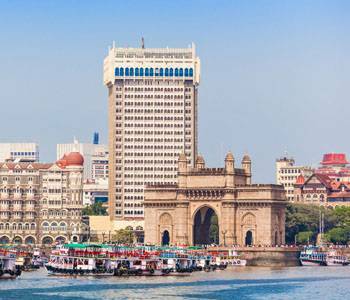 Comprising of two contrasting yet harmonious parts, the Old Delhi and New Delhi, the city is a travel hub of Northern India. Punjabi cuisine and Mughlai delicacies like kababs and biryanis are popular in several parts of Delhi. Due to Delhi's large cosmopolitan population, cuisines from every part of India, including Rajasthani, Maharashtrian, Bengali, Hyderabadi cuisines, and South Indian food items like idli, sambar and dosa are widely available. Local delicacies include Chaat and Dahi-Papri. There are several food outlets in Delhi serving international cuisine including Italian and Chinese. 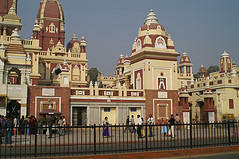 Historically, Delhi has always remained an important trading centre in northern India. Old Delhi still contains legacies of its rich Mughal past that can be found among the old city's tangle of snaking lanes and teeming bazaars. The dingy markets of the Old City has an eclectic product range from oil-swamped mango, lime and eggplant pickles, candy-colored herbal potions to silver jewelry, bridal attire, uncut material and linen, spices, sweets. Some of old regal havelis (palacial residences) are still there in the Old City. Chandni Chowk, a three century old shopping area, is one of the most popular shopping areas in Delhi for jewelery and Zari saris. Notable among Delhi's arts and crafts are the Zardozi (an embroidery done with gold thread) and Meenakari (the art of enameling). Dilli Haat, Hauz Khas, Pragati Maidan offer a variety of Indian handicrafts and handlooms. However, the city is said to have lost its own identity and socio-cultural legacies as it went to absorb multitude of humanity from across the country and has morphed into an amorphous pool of cultural styles. Religious festivals include Diwali (the festival of light), Guru Nanak's Birthday, Durga Puja, Holi, Lohri, Maha Shivaratri, Eid ul-Fitr, Eid ul-Adha and Buddha Jayanti. The Qutub Festival is a cultural event during which performances of musicians and dancers from all over India are showcased at night, with the Qutub Minar as the chosen backdrop of the event. Other events such as Kite Flying Festival,Trade Fair at Pragati Maidan, International Mango Festival and Vasant Panchami (the Spring Festival) are held every year in Delhi. In Delhi, exciting events takes place throughout the year. The festivals have their share of cultural, religious and state extravaganza. Lori: Lori is a winter festival celebrated in January. The festival marks the peak of winter and celebrated with burning bonfires, singing and dancing. Republic Day Parade: A national festival that no tourist should miss. Celebrated on the 26th of January when India became a Republic. 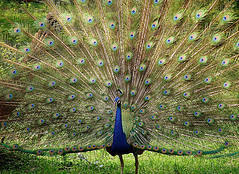 It is the most spectacular pageant of Delhi. The march past includes military displays, elephant pageantry, floats representing different states etc. Garden Tourism Festival: Delhi Tourism holds the Garden Tourism Festival at the end of February that is generally spread over three days and generates much enthusiasm amongst the gardening fraternity. Delhi is ablaze with flowers at this time. It is also a useful meeting ground for gardening enthusiasts, as well as fun and frolic for children of all ages. Holi: This festival of color is celebrated in March. Men and women stain each other by throwing colors at. Singing and dancing accompany the joyous occasion. 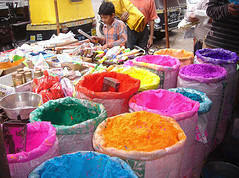 Phoolwalon-ki-Sair: It means the festival of flower sellers. A Festival representative of communal harmony where large fans decorated with flowers are taken out in a procession. On this occasion the flower sellers present flowers to the gods and pray for a better flower season next year. Mango Festival: The mango festival is held in Delhi during the month of July. Many verities of mangos from the 1100 plus verities those India grow are displayed. Independent Day Celebrations: Independent Day is celebrated on August 15. Processions and flag hoisting on the Red Fort mark the celebration. 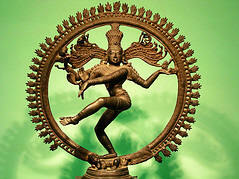 Dussehra: It is a ten days festival, celebrated in Sept./Oct., of which nine days are spent in worship. The tenth day is a celebration of victory of good over evil. 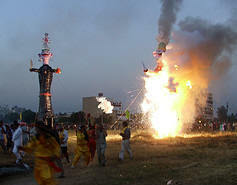 Huge effigies of Ravana, the demon king, are burned on the last day of festival. The heroic deeds of Lord Rama who destroyed Ravana are enacted in songs and dance. Qutab Festival of Classical Music and Dance: The festival is staged around Sharad Pournima in the month of October at the Qutab Minar complex. Evocative melodies and graceful dances are presented by various prominent artistes of the country. Diwali: Diwali, the festival of lights and fireworks is celebrated throughout the country during Oct-Nov. People illuminate their houses with rows of earthen lamps to welcome Lakshmi, the goddess of wealth and prosperity. At night crackers are burst to celebrate the return of Lord Rama from exile. 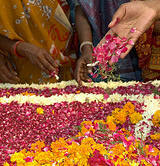 Flower Shows: Delhi also conducts various flower shows in the winter months. Rose Show, Chrysanthemum Show and Delhi Flower Show are among them. Urs Of Hazarat Nizamuddin Aulia: a Muslim saint of the 14th century, is celebrated in November or December at his tomb at Nizamuddin. This is celebrated with a lot of pomp along with the accompaniment of quawalis and a wide array of sweet meat and kababs. Christmas: like elsewhere in the world is celebrated in Delhi with a lot of gaiety and festivity. Special services are held at the churches. International Trade Fair: Quiet apart from religious events that take up the Delhi calendar, there are also other regular events that are hosted in Delhi like the International Trade Fair that is held annually at the Pragati Maidan. 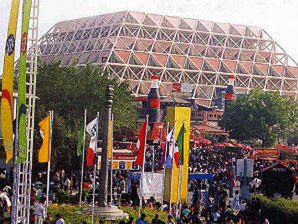 The Pragati Maidan also hosts a variety of events at regular intervals. This is also one of the largest Trade Fair Complexes in Asia. Delhi Horse Show: In winter Delhi plays host to a number of events like the DELHI HORSE SHOW that is held in November or in December outside the walls of the Red Fort. The vintage car rally is also held in the same period and this is a show one should not miss. It displays a good number of cars left from the period of the British Raj. Surajkund Crafts Mela: Then there is also the SURAJKUND CRAFTS MELA where the villagers from the adjoining villages bring out their handicrafts and also to display their skills. A variety of rural entertainment’s add colour to the impressive fair. 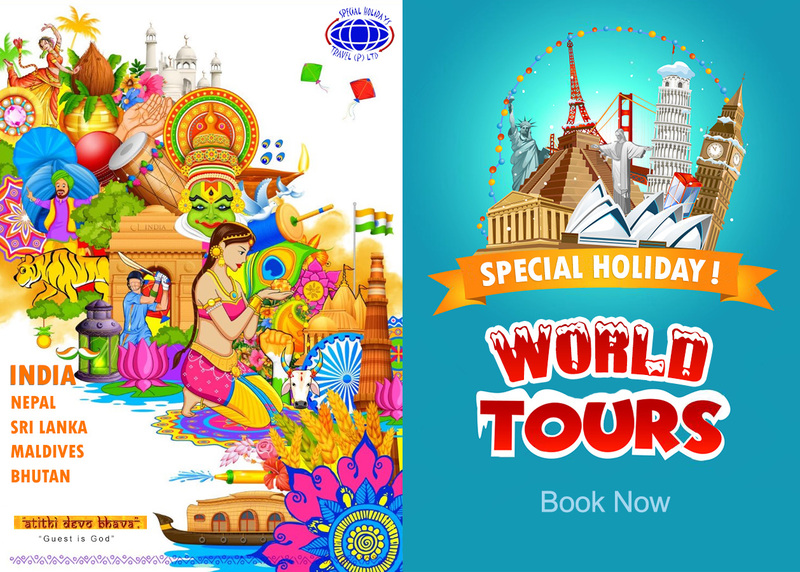 Delhi's association and geographic proximity to the capital, New Delhi, has amplified the importance of national events and holidays. National events such as Republic Day, Independence Day and Gandhi Jayanti (Gandhi's birthday) are celebrated with great enthusiasm in Delhi. On India's Independence Day (15 August) the Prime Minister of India addresses the nation from the Red Fort. Most Delhiites celebrate the day by flying kites, which are considered a symbol of freedom. 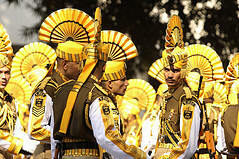 The Republic Day Parade is a large cultural and military parade showcasing India's cultural diversity and military might. 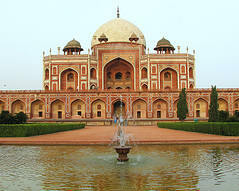 Delhi's culture has been influenced by its lengthy history and historic association as the capital of India. This is exemplified by the many monuments of significance found in the city; the Archaeological Survey of India recognises 175 monuments in Delhi as national heritage sites. The Old City is the site where the Mughals and the Turkic rulers constructed several architectural marvels like the Jama Masjid (India's largest mosque) and Red Fort. 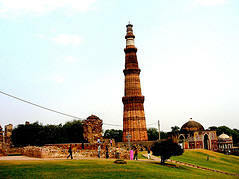 Three World Heritage Sites—the Red Fort, Qutab Minar and Humayun's Tomb—are located in Delhi. Other monuments include the India Gate, the Jantar Mantar (an 18th century astronomical observatory) and the Purana Qila (a 16th century fortress). 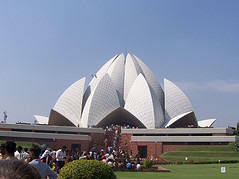 The Lotus Temple, Laxminarayan Temple and Akshardham are examples of modern architecture. 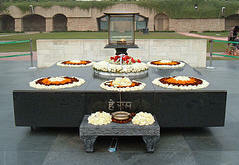 Raj Ghat and associated memorials houses memorials of Mahatma Gandhi and other notable personalities. 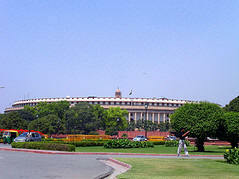 New Delhi houses several government buildings and official residences reminiscent of the British colonial architecture. 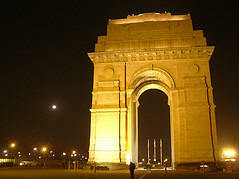 Important structures include the Rashtrapati Bhavan, the Secretariat, Rajpath, the Parliament of India and Vijay Chowk. 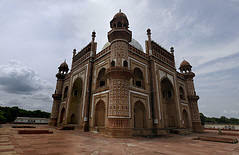 Safdarjung's Tomb is an example of the Mughal gardens style. 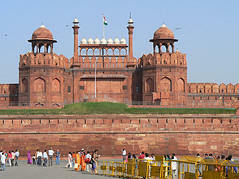 THE RED FORT more popularly known as The Lal Quila (Lal ie. red and Quila ie.fort), stands strong on the banks of the river Yamuna as an irregular octagon. It is surrounded by a wall of about 2.4 Kilometers in circumferance and is built of Red Sandstone. The Mughal king Shah Jahan (popular for building the Taj Mahal of Agra) transferred his capital from Agra to Delhi and the fort was completed in 1648, nine years after the king shifted to this city. The fort has two main entrances, the Delhi Gate and the Lahori Gate which faces the famed Chandni Chowk market. INDIA GATE primarily a memorial to the unknown soldier was Designed by Lutyens. The 42 metre high structure is a war memorial in honour of the soldiers who died during the second world war. The imposing structure from where stretch massive lush green lawns has an eternal flame (Amar Jawan Jyoti) to honour the memory of the unknown soldiers. 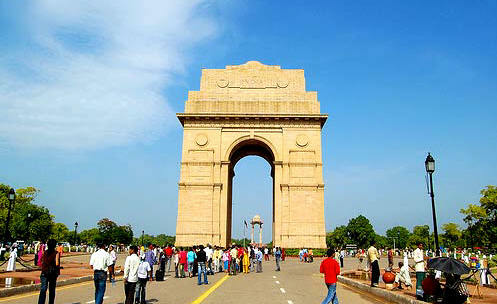 India Gate prominently located in the vicinity of Rastrapati Bhavan is a major crowd puller during the hot summer evenings of Delhi by virtue of its lush green lawns. The simple square platform of black marble on the banks of the river Yamuna marks the place where Mahatma Gandhi was cremated. 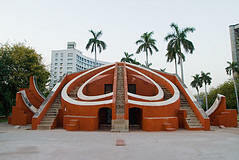 His last words ' Hey Ram are inscribed on this platform which is surrounded by a serene garden. West of Connaught Place on Mandir Marg, Lakshmi Narayan Mandir is a large modern and colorful temple also known as Birla Mandir after its sponsors, the famous industrial house of India. The main shrine is dedicated to Lakshmi (the Hindu goddess of wealth) with some smaller shrines to Hanuman (the monkey god), and Ganesh (the elephant-headed god). The walls of the temple are decorated with many symbols and quotations from the ancient sacred scripture. 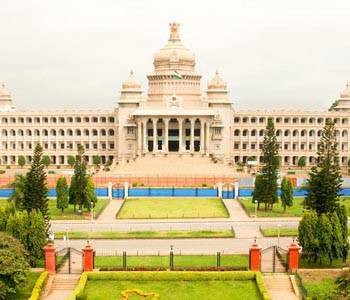 One of the finest museums in the world, the National Museum is a treasure house of a wide range of exhibits from over 5000 years of Indian culture, including exquisite Mughal miniature paintings and artifacts from the ancient Indus Valley Civilization dating back to 2000 BC. 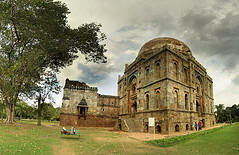 The old Lady Willington Park, now known as Lodhi Garden, is dotted with monuments of Sayyid and Lodhi Periods, which include tombs mosques, and bridge . Azad Hind Gram Tourist Complex at Tikri Kalan is a project developed by Delhi Tourism to honour Netaji Subhash Chandra Bose and to create quality leisure space and wayside amenities for the citizens.Located within two kilometers of the Delhi Haryana border on NH-10, the architecture of the project is inspired by the language of North Indian achitecture and the traditions of Indian craftsmanship. Connaught Place, Early Morning, PigeonsRecently renamed Rajiv Chowk,'CP' was intended to be the shopping arcade of the 'new' capital of Lutyen's Delhi in the mid 1930's, and is located right in the heart of Delhi; it is her epicenter, designed as a set of concentric circles. 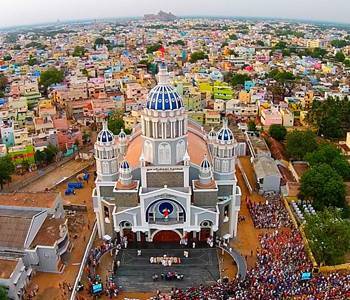 CP is an architectural splendor with its colossal white old colonial style buildings. Famous For: The most popular of the radial roads leading off from City Centre is Janpatha treasure trove for shoppers, especially bargain hunters there are scores of Tibetan stall and other shops selling all manner of craft item, handcraft,curios,besides a few book stall and snack joints, ethnic wear, kohlapuri chappals, Rajasthani paintings and brassware another absolute treat for the shopper is the govt run Central Cottege Industries Emporium where you are offered a wide and rare collection of Indian artifacts from different corners of the country. Another place to visit is the underground Palika Bazaar an air-conditioned shopping centre with stalls of ready-to-wear,costume jewellery,accessories,books and a lot of odds and ends. Famous For: Ajmal Khan Road market in Karol Bagh. They contain lots of food-joints, jwellery and radimate garments. Chandni Chowk MarketOne of the main markets of Delhi, Chandni Chowk was once lined with beautiful fountains. But today the place is very crowded and congested. 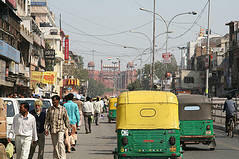 Chandni Chowk is located opposite the Red Fort. 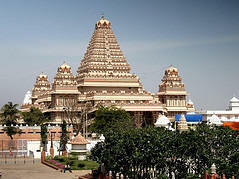 The Area has got the Digamber Jain Temple, which houses the Birds hospital. 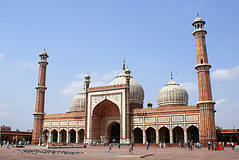 On one end of Chandni Chowk is the Fatehpuri Mosque, which was erected by the wives of Shah Jahan. Opposite the old police station or the Kotwali is the Sunheri Masjid from where Nadir Shah ordered his troops to plunder and massacre Delhi. Famous For: Unforgettable shopping experience offering every conceivable item from wedding turbans and brass ware to bicycles and electronics. Besides eating joints some of the important streets are dariba kalan the gleaing kinari bazar with its tinsel glitter offering rich silk sarees of the bridel trousseau. The legendary Ballimaran with its hakims and one time colourful inhabitance the appetizing parathe wali gali,khariboli the aromatic spice market. 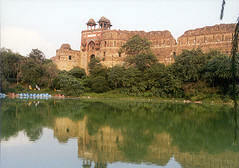 The Delhi Zoo is located near the Purana Qila on the Delhi-Mathura road. Delhi Zoo has many animals which includes the rare and exotic white tigers. This place is particularly popular among the children.